Do I need a NIE Number to get a Mortgage in Spain? Are you Thinking about buying a property in Spain? Maybe a villa with its own outdoor pool, or a central flat in a high rise building? where should you start? The first thing you will need is a Spanish NIE Number. 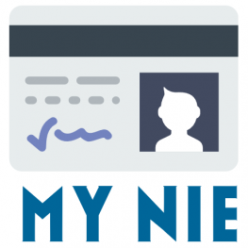 Here at MY NIE number Spain making your you have your NIE Number in place so you can apply for your Mortgage is our number one job. By completing us one simple NIE Number application form in English we can get you booked in at the police station in Spain, and get all the relevant paperwork ready for you to take. Buying a house is a huge step so proper planning at early on will help you in making the best decisions in the future as well as giving you an idea of what you have available to spend on your new dream property in the sun. Getting a mortgage in Spain does not have to be a complicated and arranging this early on may save you some hassle and frustration later when you have found your dream property. Interest rates in Spain are still reasonably low and there are many different packages available. 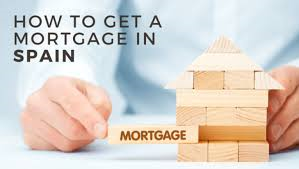 Usually mortgages in Spain are arranged by mortgage brokers or lenders and the different types available include repayment, interest only, low start and construction/self build to name but a few. So now you’ve decided you’re going to be getting a mortgage in Spain, what next? At this stage it’s a good idea to make sure you have all of the necessary documents in order. One of the first things you, and any other party to be named on the mortgage or property deeds (escritura) will be asked for is your Numero de Identificacion de Extranjero (NIE Number). This is basically your identification number and you will need it when getting a mortgage in Spain as your mortgage cannot be processed without it. You will probably be organizing your bank account at this time and will need your NIE number for this also. 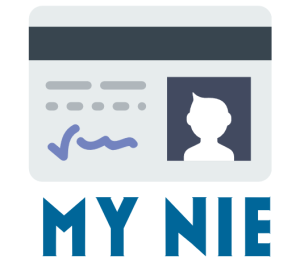 Read more on how to pay your NIE Number tax at the bank. When getting your mortgage in Spain you will usually be asked as a minimum to provide your last three payslips, your latest income tax return, details of any other loans/mortgages, your contract with the seller and proof that property tax is up to date and the Escritura. What you are asked for may vary bank to bank and you may also be asked for your work contract or records of your assets. Self employed applications also require additional documentation and your individual broker will better advise you on what is required for each individual case. Your lender will require a valuation of your chosen property as this will assist them in assessing the loan amount and term. Terms can vary from ten to twenty five years. Make sure you are aware of all the fees you may incur when getting your Spanish mortgage including the valuation fee, mortgage arrangement fee and mortgage insurance, Notary fees, Translator fees, mortgage tax and land registry fees. You don’t want any unexpected shocks later on. When you have agreed your mortgage terms with your bank and are proceeding with your purchase, you will then visit the Notary to sign your mortgage agreement and your purchase agreement. This can be a novel experience! Now all that is left to do is to enjoy your new home in Spain! If you need assistance in obtaining your NIE number Fast in order to speed up getting your mortgage in Spain then please contact us immediately for free advice. Do i need a Padron to get a NIE Number? Can i get a NIE Number without an appointment? I need help. I am supposed to be completing on a house in Malaga, Spain, next week but I don’t have a NIE Number appointment or paperwork/forms and no one told me I needed one in advance. Can you get me a nie number appointment booked online within a week? Hi Tiffany. Yes, we can get you a NIE Number in Malaga no problem. Please use our online nie number booking form and we will get you organised as soon as possible. Previous Previous post: What is a Padron and do I need one to get a NIE Number? Next Next post: NIE Number offices closed on National and local Holidays 2019 Spain.